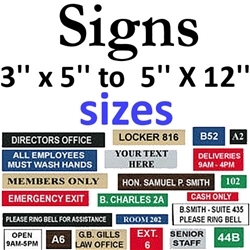 Easy to order, select color, size, amount of lines, typestyle, then add your text. - 7 colors and 165 sizes - Our in house production enables us to customize small signage ideal for offices, schools and commercial establishments and more with our indoor 2-ply engravable plastic material, Available in a wide vareity of sizes and colors, select from sizes 1'' x 3'' up to 12'' x 24'' maximum size. 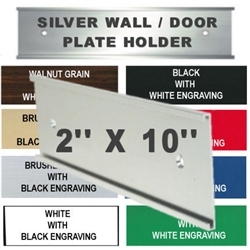 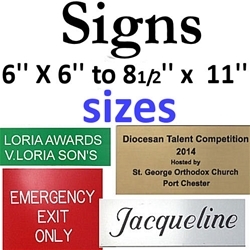 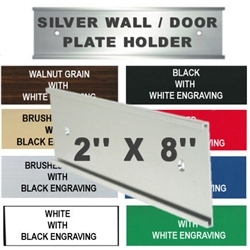 Signs are durable laminated plastic with peel and stick adhesive backing, ideal for all types of indoor use. 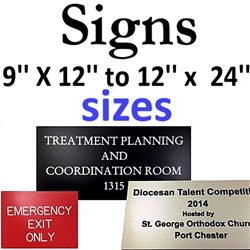 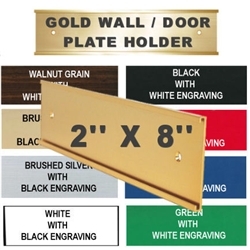 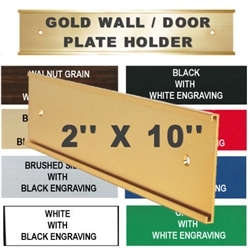 Engraved Plastic Signs 1" x 3" to 2" x 10"
Engraved Plastic Signs 3" x 5" to 5" x 12"
Engraved Plastic Signs 6" x 6" to 8 1/2" x 11"
Engraved Plastic Signs 9" x 12" to 12" x 24"